Beer is a packed and competitive market, but one company just took that competitiveness to another level. In a report from the St. Louis Post-Dispatch, MillerCoors filed a lawsuit against fellow beer maker Anheuser-Busch InBev on Thursday. The lawsuit stems from a commercial that aired during the Super Bowl for Bud Light. The commercial in question went after Miller and Coors for using corn syrup in their light beers. The lawsuit aims to stop the ad campaign on the grounds of false advertising to deceive customers and misuse of MillerCoors trademarks. MillerCoors alleges that, through focus groups, Anheuser-Busch put together the ad campaign after finding that consumers don’t know the difference between corn syrup and high-fructose corn syrup. High-fructose corn syrup is an additive that has been linked to obesity. However, dieticians have found that normal corn syrup is not unhealthy when used in beer brewing. It is also alleged that the ad campaign misleads consumers when it comes to Anheuser-Busch’s own drinks. Stella Artois Cider and Busch Light both use corn syrup and other Anheuser-Busch drinks use high-fructose corn syrup, though those aren’t named. “This deliberate deception is bad for the entire beer category. We are showing the world the truth,” Marty Maloney, a MillerCoors spokesperson, told CNBC. CNBC also revealed that the ad throws a wrench in a proposed alliance among the four biggest U.S. beer companies. 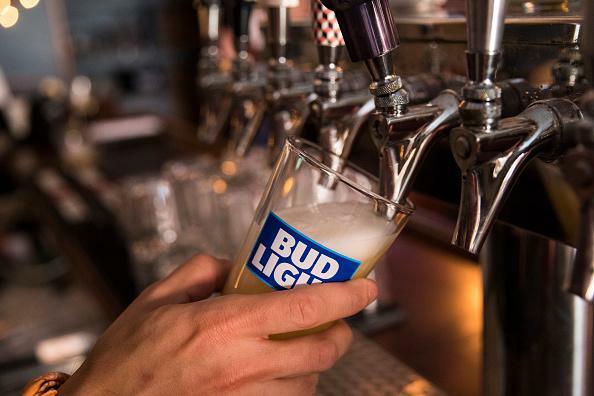 It was reported by the Wall Street Journal that AB InBev, Molson Coors Brewing, Heineken, and Constellation Brands had been in talks about a unified ad campaign to try and boost beer sales in the States for over a year. However, the ad campaign targeting MillerCoors was enough to make Molson Coors pull out of the talks.